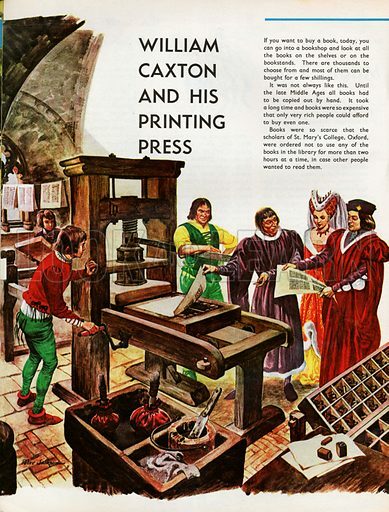 The Wonderful Story of Britain: William Caxton and his Printing Press. King Edward the Fourth and Queen Elizabeth being shown the printing press by William Caxton himself. Available worldwide for immediate download up to 3,484 x 4,593 pixels.